It seems it might not have been clear from our last posted update just who was contacting you - apologies for sending it twice. 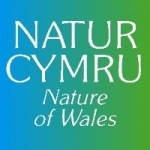 You are receiving this because you supported Natur Cymru - Nature of Wales. Great news, with all our donations by cheque we are now over £4,000, 33% raised!